Shop latest designer Asian Indian jewels & accessories from the world's largest online Indian Jeweller. Adorn yourself in designer Asian jewels from Indian bridal jewellery & accessories to contemporary chokers & traditional necklace sets. Our motto is: "Beautiful Indian Jewellery Online". So we strive to bring you designer Asian jewelled creations with the convenience of shopping online. We are a web-focused store, making us experts in selling online. Our designer Asian treasures are ready to dispatch worldwide from our London, UK based warehouse. We put great focus on ensuring your items are packed securely to guarantee that they arrive at you in perfect condition. Making IJS the premier choice. We always follow (and sometimes set!) 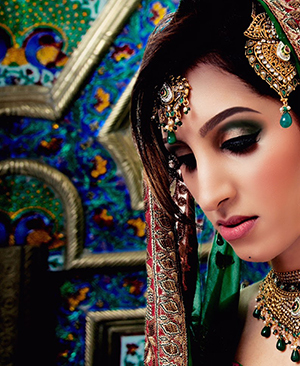 the latest ethnic jewellery trends. Many of our designs are inspired by the Bollywood scene & Mumbai catwalks (see our Bollywood jewellery collection). In 2019 we are expanding our KHAZANA range with lavish new designer costume jewellery arriving online throughout spring/summer. We strive to satisfy your desire for the latest Indian fashion trends, where ever in the world you are! We sell a vast range of hand picked Indian jewellery online, including necklace sets suitable for various Asian occasions. For your convenience, all of our products are divided into quality/price RANGES - with REGULAR being quality yet very affordable, then PREMIUM where semi-precious platings are used, through to KHAZANA being our finest jewels and totally hand crafted with a distinctly authentic jewel feel. Whether you are looking for something extra special (KHAZANA) for a close family member's Indian wedding or something economical but still elegant (REGULAR) for an Asian festival, we have a range to suit your every need. Look out for these Range stickers on every product page.